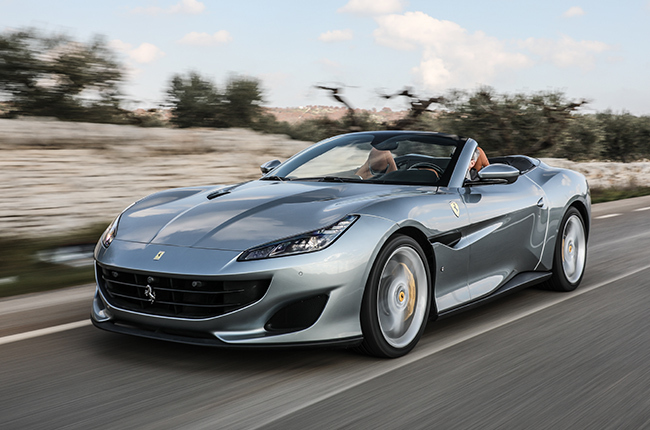 Ferrari’s most powerful convertible ever produced has arrived in the Philippines. 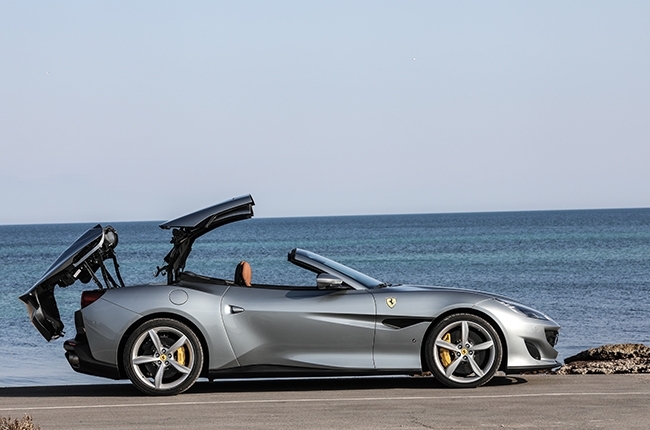 Unveiled to the media and clients by Autostrada, the official dealer of Ferrari in the Philippines, the 2019 Ferrari Portofino is a Grand Tourer set to offer luxury, versatility, and Ferrari performance. 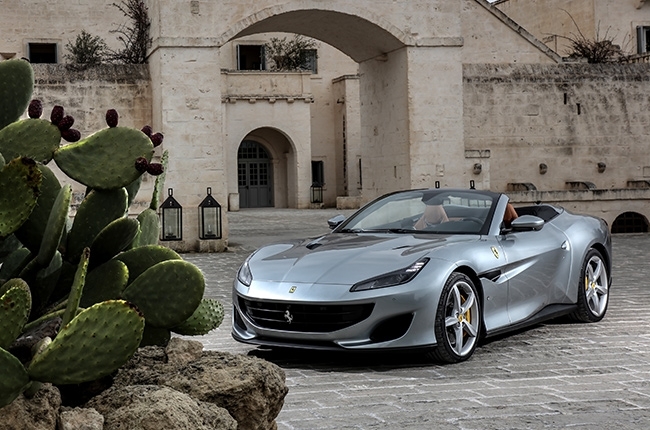 Named after one of the most beautiful towns located in Riviera in the Ligurai Region of Italy, the Ferrari Portofino replaces the California T in the lineup. 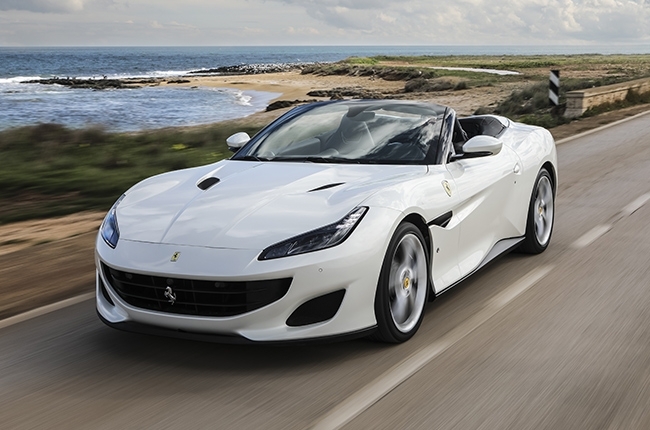 Powered by the award winning 3.9L turbocharged Ferrari V8 with 591 hp and 560 Nm of torque, the Portofino can sprint from zero to 100 km/h in a matter of just 3.5 seconds and reach a top speed of 320 km/h. A tweaked exhaust also lets the engine’s character come to life, offering a Ferrari soundtrack that can be enjoyed with the top up or down. 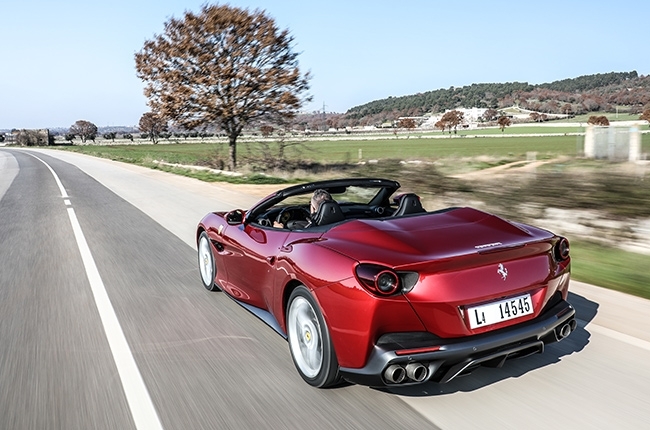 When compared with the California T, the Portofino is now 35% more rigid and 80 kilograms lighter. This fastback (coupe-convertible with a retractable hardtop) is aggressively styled and has won the Red Dot: Best of the Best award for 2018. The top can be electronically retracted and raised in just 14 seconds, and even at low speed. Several technical enhancements have made their way into the Portofino, creating a Grand Tourer that’s not just beautiful to look at, but performs just as well. The electronic rear differential has been integrated with F1-Trac (Ferrari’s traction control) to increase mechanical grip and control. 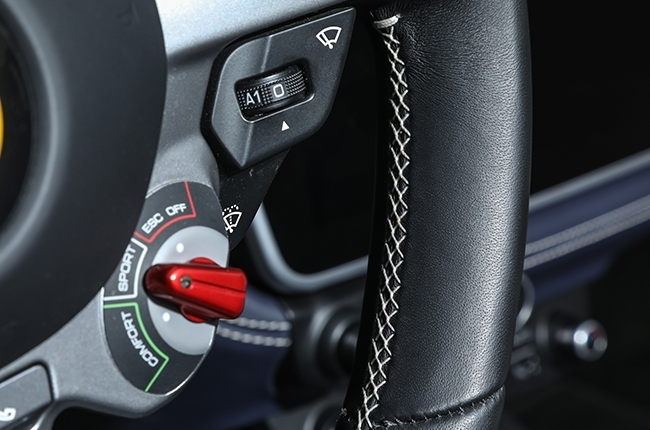 The Portofino also gets electronic power steering just like the one from the Ferrari 812 Superfast, creating an adaptive steering feel and experience. 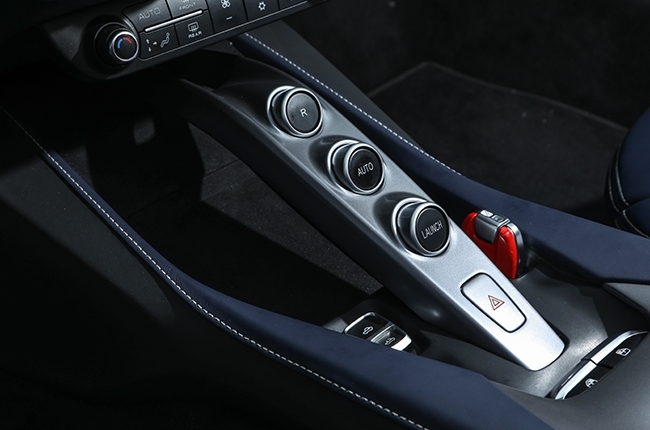 The familiar magnetorheological dampers are a carryover from the California T but with upgrades to software to maintain comfort despite the Portofino having a stiffer and tighter suspension. This results in a car that’s more responsive and delivers excellent ride comfort. 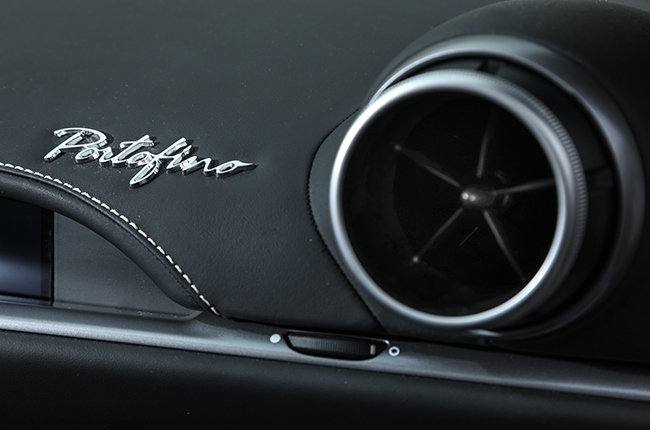 On the inside, the Portofino is unmistakably a Ferrari with a new flat bottom steering wheel where all driver controls are located, including the addition of a nifty shift light. There are also 18-way adjustable power seats, a new air-conditioning system, a 10.2-inch touchscreen display, and an integrated wind deflector that reduces wind noise and cuts air flow inside the cabin when the hardtop is retracted. There’s also a list of additional options customers may choose to add, such as an active exhaust, carbon parts, and choices of interior stitching and color combinations. While this is the most affordable Ferrari in the lineup, it also happens to be one of the most attractive and practical, creating a Ferrari that you could probably use everyday, especially in Metro Manila. We would. 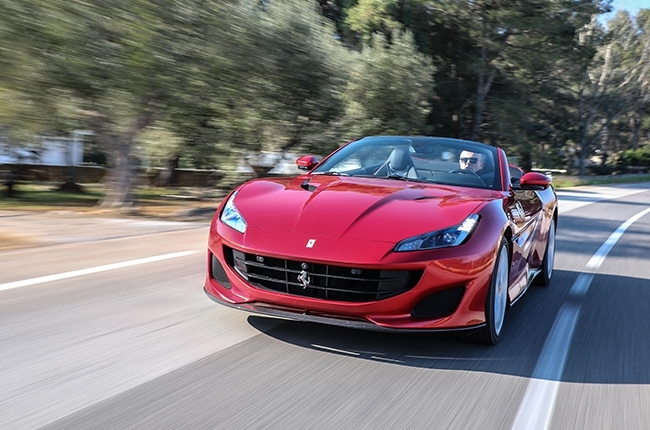 The 2019 Ferrari Portofino is now available at Autostrada Motore in BGC as of this writing. 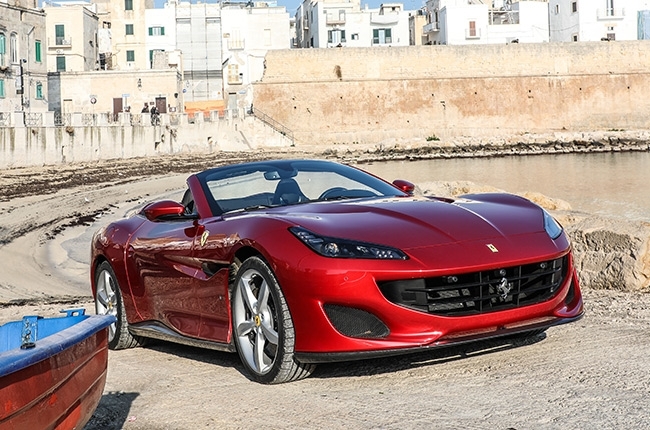 Hi, I would like to receive a financing quote for the Ferrari Portofino 3.9 Convertible, thank you.